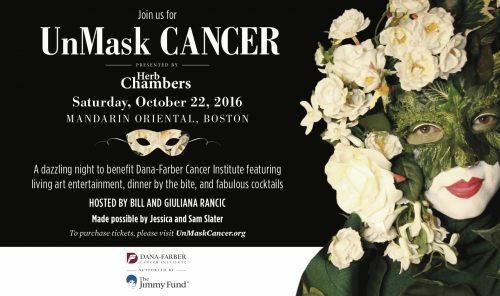 Sam Slater talks about his upcoming third annual UnMask Cancer event to benefit Boston’s Dana-Farber Cancer Institute. Sam Slater and his wife, Jessica, are co-chairs of this year’s third annual UnMask Cancer fundraiser for Dana-Farber Cancer Institute. Slater, a principal at Tremont Asset Management LLC and an independent film producer, recently chatted with JewishBoston about the event and his growing involvement in Boston’s Jewish community. I grew up in West Palm Beach, Fla., and moved to Newton when I was 10. Though I am technically a native Floridian, I am a Boston guy at heart. What role did Judaism play in your childhood and young adulthood? Growing up, I went to the Jewish Community Day School in Palm Beach, and when I moved to Newton I went to public school. This was a huge change and a huge adjustment for me. I believe that I benefited from a strong Jewish upbringing and then a more traditional public school experience. This made for a great balance in my life. Having a 6-month-old son, I am now reenergized and refocused on Judaism in my life. My wife and I want to make sure to give our son a strong Jewish upbringing. I need to sharpen up on my Hebrew! 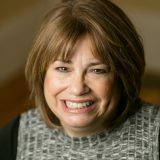 Are you involved in Boston-area Jewish communal activities? I am planning to be moving forward! You have an impressive film career, which includes movies such as “Drinking Buddies” and “The Intervention.” How did you get involved in film? Thank you! Five years ago I was tired of just thinking about a career in film and decided to actually give it a shot. I made sure to carve out as much time as possible, check my ego at the door, and really devote myself to learning about the industry and meeting the right people along the way. After a year of attending events, reading, shaking hands, phone calls and coffee meetings, I finally found my place in independent filmmaking. What led you to raising money for cancer research and cancer awareness? I have been active with my family foundation, The Slater Foundation, for almost 10 years now, and cancer has unfortunately touched many of my family members and is something we care deeply about. It is important for us to fund and support the medical research that is ongoing to cure many forms of cancer, but also to support patient services. Patient and family services are vital to allowing people some much-needed personal care and attention while they are fighting cancer. Please share some details about the coming UnMask Cancer event. I am excited to have my friends Bill and Giuliana Rancic host the third annual UnMask Cancer, which benefits patient care and cancer research at Dana-Farber Cancer Institute. The party-with-a-purpose at the Mandarin Oriental will feature music from DJ Hektik, a live and silent auction, living art entertainment, dinner from By-the-Bite, creative cocktails and much more. 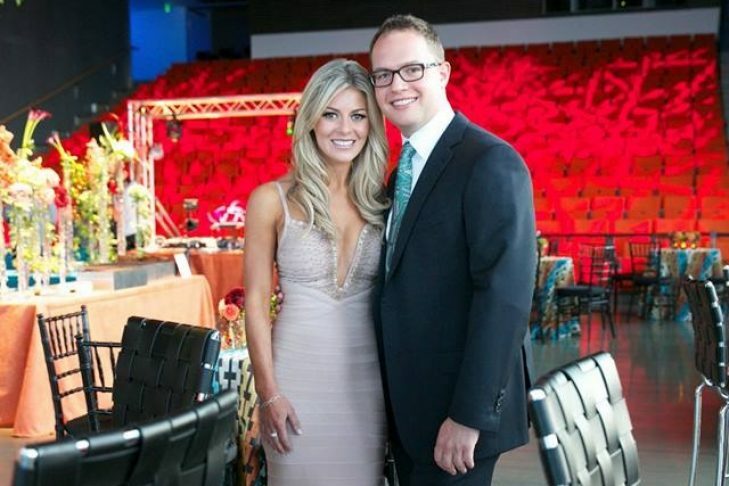 This is the third annual UnMask Cancer event, but my first year as co-chair with my wife, Jessica. I am not shy about what my hopes are for this year’s event—I am hoping for and plan for this year to be bigger, better, more successful and more fun than in years past!